At times of family change, such as marriage, divorce, or adoption, people often turn to a family law attorney for legal protection, guidance, and to facilitate transactions such as guardianships. Prenuptial agreements and postnuptial agreements: Before marriage, or at any time during a marriage, a couple can make their own contract or agreement spelling out how they will divide property in the event of a divorce and how they will manage assets during a marriage. Divorce: What to think about and next steps. All divorces must address the question of assets, income, expenses & parenting plans. Divorce Procedures: Prepare dissolution papers and the divorce process. Child Removal & Child Relocation: Parental responsibilities are just as important as parental rights when it comes to decision-making and parenting time with children during and after a divorce, or when unmarried parents separate. We can help you work out parenting time that fit your family dynamic. Property division: Property division and spousal support are often considered in relationship to each other. A dependent spouse may agree to accept property in lieu of spousal maintenance or alimony. There are many questions to answer regarding property division for people approaching divorce. High Net Worth: High amounts of assets often lead to a high conflict divorce that sometimes can lead into litigation. Mediation: Couples can control and guide their own property settlement and parenting time plans without harmful contentious litigation. Guardianship: When a child’s parents cannot or will not care for a child for any reason, the court may appoint a guardian, such as a grandparent, other relative, or friend of the family, to take legal responsibility for the child. Also, if an adult is disabled and unable to manage his or her personal or financial affairs, a guardianship may be appropriate. 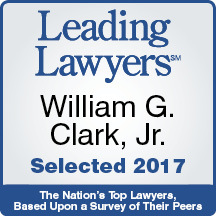 Contact William G. Clark Jr. & Associates, LTD. today for an appointment at 312-329-0830.